People are more familiar with what the think the church is AGAINST rather than what the church is FOR. We believe this is true for a lot of people—it’s no wonder so many do not feel cared for by churches. Essentially, church isn’t for them because the church isn’t FOR them. And yet, we, as people (and all who we are), are supposed to be confirmed, encouraged and strengthened in the church! 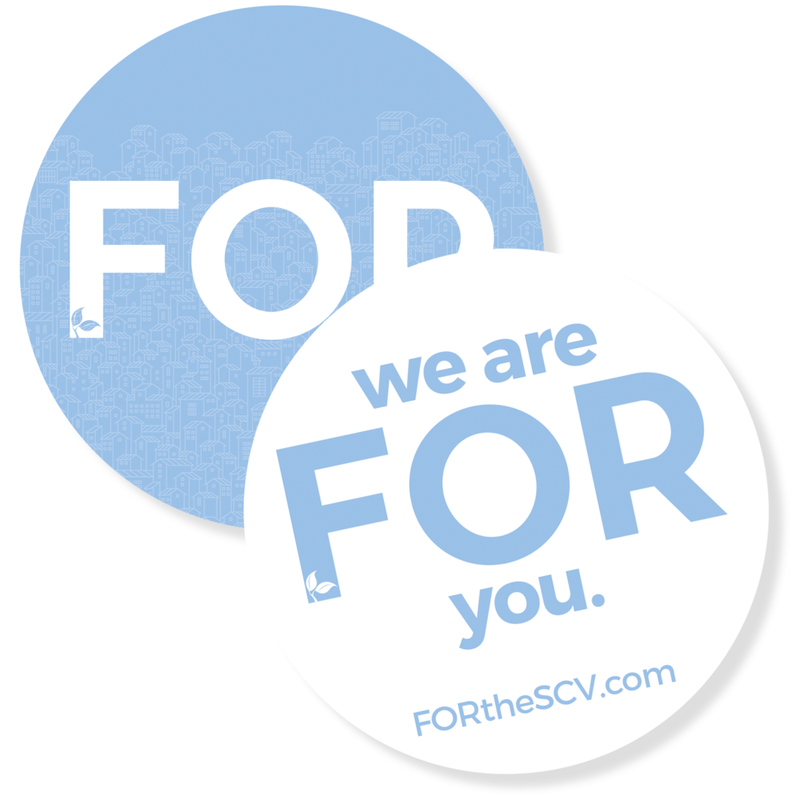 So we asked the question: “What do we want to be known FOR?” The answer came easily: we are FOR Santa Clarita, FOR our schools, FOR local businesses; FOR adults, students, and children… in parks, stores, and neighborhoods; we are FOR people! The reason we are FOR people in all those places is because God is FOR people... in all of those places! This is God’s plan… He is FOR us so we could be FOR others. We cannot separate loving God from loving our neighbor. Today, someone deliberately went out of their way to show you they are FOR you. Why? Because that’s what love does.